Something I still hear a lot that system engineers take their vSphere environment for granted and hardly check anything on a daily basis. I always point them at Alan Renouf‘s brilliant health check script while there are other ways to get your daily dose of health this one still rocks for me. You can remove unwanted plugins or make different selections of plugins for daily, weekly or monthly checks. Now and then I still hear people that had issues because of snapshots and there is no need for that anymore and hasn’t been for years! This script has saved me lots of times already + it helped me get management support for limiting other people’s access to the environment because they had no idea what they where doing. 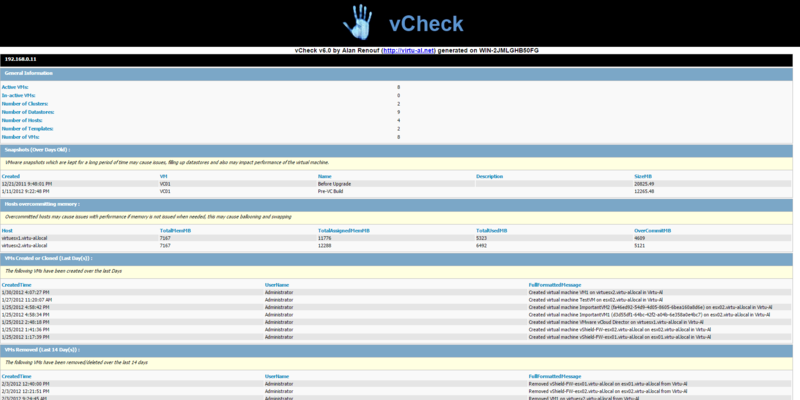 Tagged checks, ESXi, snapshot, vsphere.